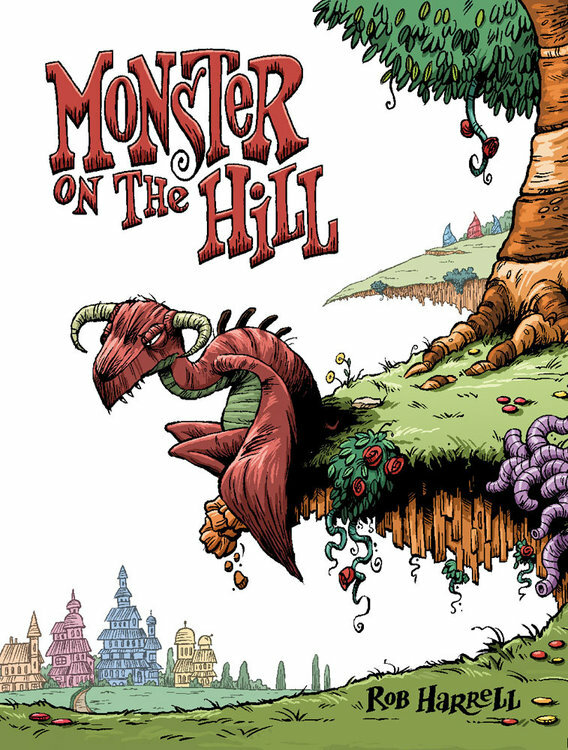 So I guess that “All Ages” books are sort of the theme this week because today’s book is yet another all ages smash: Monster On The Hill. 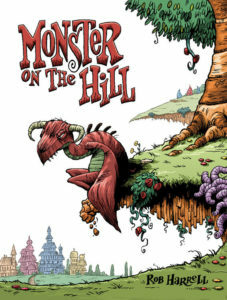 Monster On The Hill is a book that I read a couple of years ago for our school’s speech team. I tried to cut a humorous speech out of it, and while my attempt didn’t work out too well, I was lucky enough to find a cool book to share with both little ones in my life and others just looking to have a smile. Monster On The Hill has a cool premise: each town has a cool scary monster that people travel to see and ultimately get tormented by. They buy shirts and dolls of the monsters at stands, and everyone has a blast! But one town’s monster is depressed and sad, not wanting to terrorize anyone, causing town morale and tourism to sink. The government sends a doctor, knowledgeable about monsters to find out what’s wrong with the monster and save the town. Add a monster-obsessed stowaway paperboy, and you have a recipe for fun and adventure. This book is seriously fun and original. The book is larger than the average graphic novel in physical size, but close to 200 pages makes this more than a normal kids book. Large panels allow Harrell to create immense landscapes, capturing monster encounters and town destruction in cool ways. On top of all the creativity and great art, this book teaches lessons about teamwork, helping others, and believing in oneself. A gem for all ages. Feeling down? Pick up a Monster On [a] Hill and have a smile!